Viscount Markham has one rule - never bed the same woman twice. But all rules are made to be broken. When Grace Denton decides to visit her sister in London, she is shocked to find the paid companion has a new profession and now earns her living as a courtesan. But when her sibling disappears after an evening out, Grace is forced to masquerade as the much sought after paramour in a bid to solve the mystery. Using information from her sister's secret diary, Grace begins her search with the arrogant Lord Markham, convinced he was the last person to see her alive. Leo Devlin, Marquess of Hartford, spends his days hiding from the sun as a result of his terrible affliction. At night, he wanders the ballrooms of the ton in pursuit of pleasure - in search of anything to numb the memory of the terrifying night he was stripped of his humanity. But despite his relaxed countenance, the flames of vengeance still burn brightly within. With a reputation for recklessness, Leo's friend and mentor, Elliot Markham, is the only man capable of keeping him under control. But when Elliot marries and leaves London for his estate in Yorkshire, Leo's thoughts turn to the woman he blames for the evil curse thrust upon him. Feeling alone and abandoned, Leo knows there is only one way to rid himself of the painful images of the past. But would he be able to find the golden-haired devil responsible for turning him? Would he have the courage to make her pay for all she had done? Ivana Lockwood always knew one of her gentleman vampires would return seeking retribution. Men of their quality did not sit back and accept the devastating consequences of such a horrendous affliction. In a strange way, she welcomed the challenge. Once I start with a series I have to finish them all. I need to know everyone's story. Each story kept me entertained. Please note that I would rate these stories as PG-13. Very Different and Highly Enjoyable! 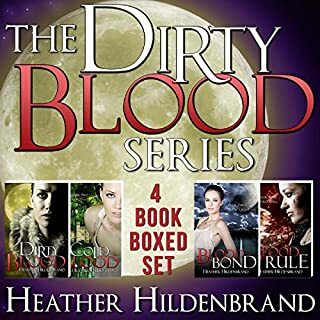 I had read the first book in The Brotherhood Series but not listened to it, so I was delighted to listen to all three books in the boxed set. All three books open a window on the lives and moirés of the Regency period as seen through the eyes of three men who are no longer human but, through a curse of fate, are now vampires, damned by all and forced to live in isolation. 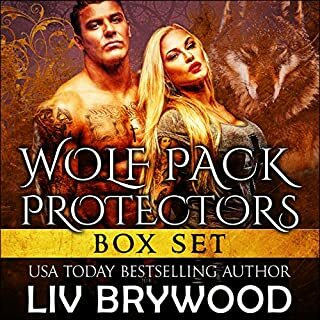 In listening to each book of the boxed set, I truly felt the main characters' gamut of emotions, from soulless loneliness and despair, deepening to hate and grave fear, then rising to acceptance and passion, and finally, to happiness and the sheer joy of true love. The ending to the third book was NOT expected but was a WONDERFUL way to end the book and series. Kylie Stewart did a fantastic job as the narrator. Even over several days of listening to the three books, my attention and enjoyment never wavered. 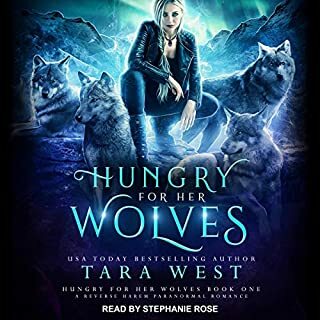 Ms. Stewart's rendition of the stories as well as her varied voices for all the characters and their heightened emotions made the books a joy to listen to. 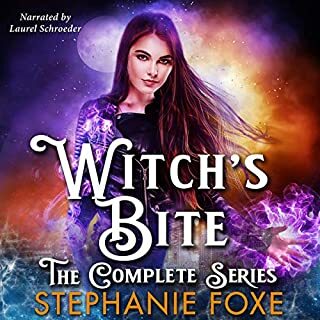 The author, Adele Clee, has written a fantastic, heart-pounding series with these three books and Kylie Stewart's talent as narrator, brought out the best in each book. I received a copy of the boxed set from Audible. I truly enjoyed listening to the complete set. This is my voluntary and unbiased review. Characters are well built, ,storyline is awesome and its not drawn out. I enjoyed the first two books, but really had trouble with the third and couldn't finish the series. Overall it wasn't a bad way to pass some time, and kept me company while driving. I didn't think it deserved the hot damn rating, but that is a personal style thing and I think plenty of people would be left breathless reading the love scenes. An interesting take on vampire romance. I really liked the story, it was a really good book to listen to for a couple of days.